Ideal for research and routine applications, the ALC PK series centrifuges are a new generation of technologically advanced, compact equipment. These centrifuges are available in two different capacities, each with both ventilated and refrigerated models. The units are manufactured with advanced features such as a CFC-free refrigeration system, a brushless induction motor and accessories certified for biological safety. 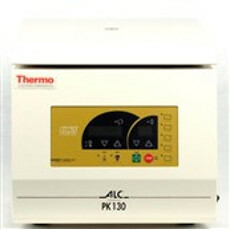 New and used ALC PK 130R's for sale on LabX. Purchase and get quotes on the products you need for your lab. Choose from a variety of vendors.